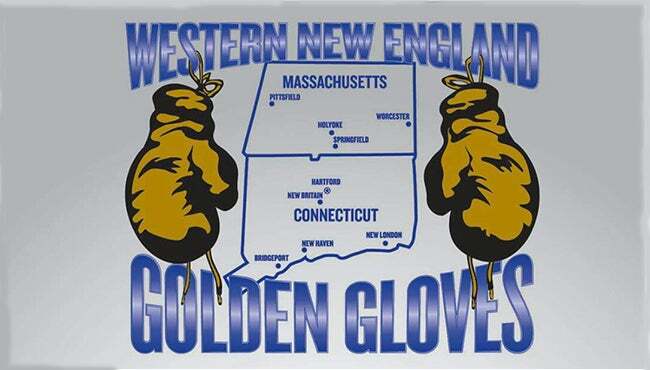 The Western New England Golden Gloves Championship Tournament, presented by Springfield’s Central City Boxing & Barbell, will feature 300 of today’s rising stars and future world champions in a series of quarterfinal, semifinal and championship bouts. Preliminary fights: Friday, January 5 & Saturday, January 6; Doors open at 6:00 p.m. and the first fight is at 7:30 p.m.
Quarterfinals: Friday, January 12 & Saturday, January 13; Doors open at 6:00 p.m. and the first fight is at 7:30 p.m. Semifinals: Friday, January 19 & Saturday, January 20; Doors open at 6:00 p.m. and the first fight is at 7:30 p.m.
Championship finals: Sunday, January 28; Doors open at 12:00 p.m. and fight starts at 1:00 p.m. The winners of this event will continue on to the covenant New England Golden Gloves Championships held in Lowell, Massachusetts for the right to represent New England at the National Golden Gloves Tournament of Champions. Tickets are on sale now starting at $15 for adults and $10 for children.